Jennifer Wood Fitness : Lose Weight During The Holidays! New 6 Week Fitness & Nutrition Group. 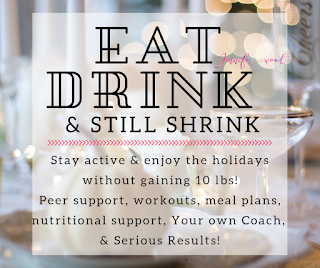 Lose Weight During The Holidays! New 6 Week Fitness & Nutrition Group. 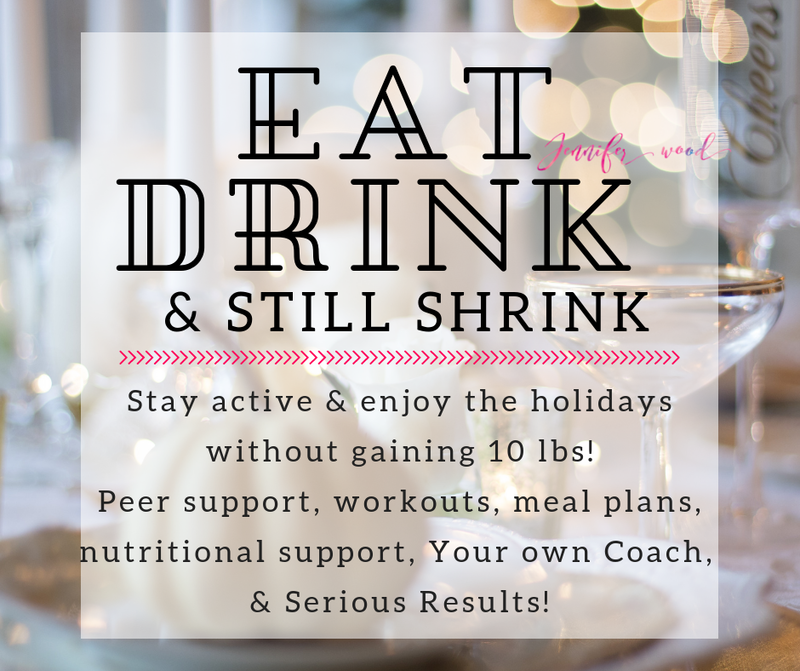 Join our new group, Eat, Drink & Still shrink this fall and navigate the holiday season like a pro! We kick off November 26th. Perfect timing to reset after Thanksgiving. This group is for those who want to maintain and, or, lose during the holiday season instead of gaining that dreaded 10 pounds of flab and feeling gross. Busy moms who want to tone up and need some extra support during this tempting time of year. Join in as we motivate, challenge & support one another. I will be here for you every step of the way. I will provide you with an easy to follow meal plan, get you set up with the right workout program for you (22-40 minute workouts for all fitness levels) as well as Shakeology once a day to fill in those nutritional gaps, and plug you into a private support group on Facebook. The group is the missing piece! We also have an amazing pre and post workout supplement you can do in place of Shakeology or in addition to. I use all 3 supplements and am currently doing LIIFT4 -- just 4 workouts a week; 30-40 minutes a day. I've never felt better! With Beachbody On Demand, you will have access to over 700 results-driven workouts through your smart tv, Roku, firestick, apple tv, or chrome cast device, or phone/tablet/computer. In November we have some AMAZING specials too! Get an extra $20 off our already reduced challenge pack bundles. Most people start with our $140 bundle. Click here to check out the bundle. This gives you a huge discount on Shakeology and Beachbody On Demand. You'll get everything shown below. Not sure what to choose? Need help choosing your Shakeology flavor?? Let's chat! Or let's jump on the phone. Email me or text me (912)312-2253 -- I am here to help. Contact me at jenniferwoodfitness@gmail.com or through Facebook.